It is Saturday, February 24, 2018 and a great day to be a Renegade. This was a short but action packed week. I traveled to Santa Rosa to present at the Association of California Community College Administrators (ACCCA). The drive was long to Santa Rosa and back. There were several high points in this trip, including (1) hearing from the President of Santa Rosa College of how they supported the community during and after the fires and (2) crossing the bay on the Richmond-San Rafael Bridge. The Richmond-San Rafael Bridge is the northernmost bridge crossing over the San Francisco Bay. I, like everyone else likes to ride the train and enjoy bridges. Apparently, this 5.5-mile engineering feat was rejected by Frank Llyod Wright for its aesthetics. Wright must have taken after Nan Gomez-Heitzeberg, who tolerates everything and anything with a gentle soul but is unforgiving when it comes to poor design and bad colors. I don’t remember where this photo was snapped, but all I can say is that this I stay quiet when Nan is in a serious art conversation with David Koeth. The Conference held at Santa Rosa is the annual ACCCA conference and I was invited to present at the opening plenary. As I walked in I spotted Gustavo Enrique and Jaime Lopez from Bakersfield College. Here are my fellow presenters at the ACCCA — Reagan Romali, President of Long Beach City College; Joe Wyse, President of Shasta College; and Willy Duncan, President of Sierra College. We are in the photo with Susan Bray, Executive Director of ACCCA who is in the middle. So now for few of the very many activities on campus….. Yesterday, we held the 3rd annual YES! Youth Empowering Success Conference. The all-day event began with a welcome and introduction from Judge Raymonda Marquez of the Kern County Superior Court. She spoke of how there are people in our lives who believe in us, even when we sometimes doubt ourselves. The keynote speaker of the morning, Mark Anthony Garrett, opened with a video recounting how his third grade teacher is “his hero.” The video can be seen on his website, www.teachersareheros.com. Mark shared his life story in a compelling, motivational, and inspiring talk that pumped up the audience before the smaller breakout sessions. Everyone is brought to this world with a special gift. When one discovers what that gift is, they must let it shine so that others lives will become brighter. Teachers shine that light every time they impart knowledge to a student. Special thank you to Kern County Superintendent of Schools Foster Youth Services Coordinating Program, Human Services, Kern High School District, and QPI. Special thank you also to Aracelli Navarro, and the team from BC who worked so hard to make the event a success. Child Development Center The Child Development Center provides a hands-on laboratory experience for our students as they pursue their certificate or degree in child development. 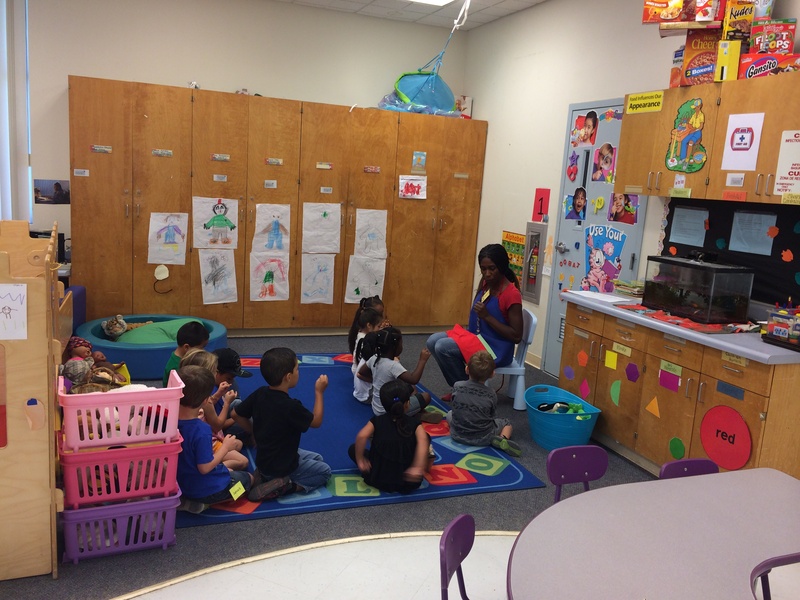 Beyond the educational opportunities the Child Development Center provides, it also offers a child care for students with small children so they can go to their classes — knowing that their child is well taken care of. The proximity of their children helps our students access campus services and study opportunities while their children are safe and sound right here on campus. As a traditional Child Development Center, our center provides important direct laboratory experiences and opportunities for students in child development programs and allied health programs. Students have access to supplies and materials, trained teachers who mentor them through the experience, a quality physical environment with vibrant classrooms, and low student-to-child ratios. Together, these benefits make for a quality facility for children and an outstanding educational environment for our students. Are you inspired to teach? Learn about the programs at BC that lead to careers in education of all ages. Two upcoming events will answer all your questions so you can know what’s needed to qualify to become a teacher at a variety of levels. Events take place March 3rd at the Delano Campus and March 20th on the Panorama Campus. Learn more here. This career awareness event geared towards the students and employers of Kern builds career awareness for tomorrow’s workforce. Employers from Kern County had the opportunity to promote the different career opportunities that are available within their companies through interactive booths. I loved seeing BC students in this clip on ABC 23. It is exciting to see all the various departments at BC sharing their programs with the future generations of Renegades. I especially love seeing how the Engineering programs and Industrial Automation brought out the robotics and 3D printing machinery to inspire visitors. Nursing and RAD tech were out in full force and so was the team from Adult Education and our Rural Initiatives team. Special thanks to the CTE team for their work on organizing BC’s involvement with this fantastic event. #WeareBC! Professors Oliver Rosales, Paula Parks, Michelle Hart, and Librarian Elisabeth Sundby were joined by BC students Danielle Wiley, SGA Photographer and Christian Bravo, SGA Mascot, as well as PhD Candidate Laura Hooton from UC Santa Barbara, an expert on rural African American History in the U.S.-Mexico Borderlands, to visit the historic Allensworth site in the goal of spreading information about the digital history effort at the Delano Campus to “harvest local and family histories” related to the San Joaquin Valley. A number of contacts were made among attendees, particularly community members with familial ties to Allensworth and historic black families from Tulare County. What makes Allensworth unique as a space of historical significance is it draws African Americans from across the state for its annual celebrations. Folks from San Diego, Oakland, Richmond, Los Angeles, and elsewhere visit Allensworth because it represents a place of great importance to the history of African Americans in the United States. If you haven’t made the trek to Allensworth, the entire CHAP team strongly recommends attending one of Allensworth’s annual events. More information can be found at the Allensworth SHP Website. Students had a great opportunity to talk to leaders from local law enforcement agencies across Kern County, who were all in the same room for a special forum in the Levan Center on Tuesday. BC criminal justice professor and former Arvin police chief Tommy Tunson moderated the forum, titled “Transformational Policing: Bridging the Racial Divide”, which addressed how the community policing model is evolving nationwide in response to several high profile officer-involved shootings in Baltimore, Ferguson, Missouri and other cities over the last few years. left to right: FBI Special Agent Bennett O. Scott, Kern County Assistant District Attorney Scott Spielman, McFarland Police Department Chief Scot Kimble, CHP Commander Ron Seldon, Bakersfield Police Department Chief Lyle Martin and BC criminal justice professor Tommy Tunson talk about restoring the public’s faith in law enforcement on February 20th in the Levan Center. Tommy Tunson, a criminal justice professor at BC and the former Chief of the Arvin Police Department, moderates a discussion on transformational policing in the Levan Center on February 20th. Before giving the floor over to the panel—which included police chiefs from McFarland and Bakersfield, a California Highway Patrol Commander, a Kern County Assistant District Attorney and a field agent from the local FBI office—Tunson showed video from a police brutality protest, pointing out that every officer on the field is one cell phone video away from being on the national news, no matter how small the city that they’re tasked with keeping safe. He then outlined the Transformational Policing Model (TPM), a two-pronged approach to law enforcement that emphasizes using data analysis to target areas where agencies can serve the public better, as well as community and media outreach to restore the public’s faith in the people who protect and serve them every day. Bakersfield Police Department Chief Lyle Martin talked about the work he’s done during his time as chief to keep the lines of communication open with the public and the media. When something controversial happens around one of the officers in his department, he is proactive in reaching out to local media before they reach out to him, and he’s leveraging the power of social media to reach out to the increasing number of people who don’t read the newspaper or tune into local news. Bakersfield Police Department Chief Lyle Martin outlines the importance of proper law enforcement training at the Transformational Policing Forum on February 20th in the Levan Center. “When you mess up, you’ve got to dress up and fess up,” Martin said, adding that the BPD’s motto for this year is “Change the Experience”. California Highway Patrol Commander Ron Seldon described his department’s Public Trust Initiative, a series of assessments in which the CHP is graded on its public relations and community outreach by a third-party organization and given advice on how to improve. “Are we treating the public as we’d like to be treated?” Seldon asked. FBI Special Agent Bennett O. Scott describes how the Kern County office collaborates with local law enforcement on February 20th at the Levan Center. McFarland Police Department Chief describes how his department was able to transform McFarland from a community afflicted by fatal gang violence to the 60th safest city in America during the Transformational Policing event on February 20th in the Levan Center. McFarland Police Chief Scott Kimble said that outreach efforts such as his “Ice Cream with the Chief” event have been crucial in changing the culture in McFarland, which sits at the border between California’s Norteno and Sureno street gangs, making it a potential hotbed for violent crime. Kimble credits the restoration of trust between law enforcement and the community for McFarland’s inclusion on the National Council for Homeland Security’s list of the 100 safest cities in California. McFarland, ranked at number 60, is the only city in Kern County on the list, with only 33 violent crimes committed in the area in 2016. Kern County Assistant District Attorney Scott Spielman speaks on the importance of separating one’s emotional response to a traumatic case from the duties required to mete out justice during the Transformational Policing event at the Levan Center on February 20th. Assistant District Attorney Scott Spielman reiterated the importance of maintaining the bond between law enforcement and the community. If people don’t feel comfortable with reporting a crime or serving as a witness for the prosecution, then it makes it more difficult on the District Attorney’s office to deliver justice. Regardless of whether law enforcement officials feel that the public’s mistrust is justified, agencies must strive to create a perception of fairness, and it’s important to understand the history of the relationship between the police and the community that lead up to where we’re at today in order to change that relationship. FBI Special Agent Bennett O. Scott shared information about an anonymous tipline that people in the community can use to report crimes without fear of reprisal and described how the local FBI office collaborates with local authorities on counter-terrorism and gang violence prevention. With only 11 FBI agents for all of Kern County, it’s important for the federal office to be in constant communication with local police and county sheriffs. Students and local media pack the Levan Center for the Transformation Policing Forum on February 20th. I’d like to thank Dr. Tunson and Steve Watkin for helping to organize this important and educational event for our students as part of Black History Month. For more about the Transformational Policing forum, you can read Steven Mayer’s article published in the Bakersfield Californian on Wednesday. Last week, representatives from Historically Black Colleges and Universities (HBCUs) set up tables in the Renegade Crossroads to offer scholarships and registration at schools across the country. HBCUs provide an opportunity for students to learn within their peer group, and we were honored to have the HBCU Caravan back for another year. We also had representatives from historically black fraternities and sororities to provide information about how students can find support from their peers at the four-year institution of their choice, not just at HBCUs. I’d like to thank Lisa Kent from Student Success and Equity, as well as Steve Watkin from Outreach, for helping to put the HBCU event together. It’s an extremely valuable resource for our students, and I can’t wait to see how the opportunities provided by these HBCUs will help our students grow after they graduate BC. For the month of January, BC’s Tucker Eenigenburg averaged 23.2 points, 5.6 rebounds and two assists per game over the course of nine games. He shot 52.4 percent from the floor, 53.4 percent from three-point range and 91 percent from the free-throw line. Eenigenburg had a career high 51 points, in an 87-81 win, against College of the Canyons on Jan. 27. In that game, he was 13 of 21 (61.9 percent) from the floor, 8 of 12 (66.7 percent) from three-point range and 17 of 17 (100 percent) from the free-throw line. See the CCCAA website for more. Bakersfield College was out in full force at the 8th Annual Military Order of the Purple Heart Military Ball, held at the Doubletree Hotel last Saturday night. One of the organizers of this event had a busy week, Professor Tommy Tunson, retired Army. As last year’s recipient of the Ball’s Veteran Support Organization of the Year, BC was well represented by Dr. Zav Dadabhoy, who handed off this year’s award to Chevron, in honor of the company’s support of veterans in Kern County. And thank you Mayor Karen Goh for the great photos! According the their website, “Chartered by Congress in 1958, The Military Order of the Purple Heart is composed of military men and women who received the Purple Heart Medal for wounds suffered in combat. Although our membership is restricted to the combat wounded, we support all veterans and their families with a myriad of nation-wide programs by Chapters and National Service Officers.” The Order’s mission is to foster an environment of goodwill and camaraderie among combat wounded veterans, promote patriotism, support necessary legislative initiatives, and most importantly, provide service to all veterans and their families. While a good time was had by all, the night’s theme was a somber one; remembering America’s POWs and MIAs from the Vietnam War. The United States still has over 1,600 unaccounted-for personnel from the conflict that divided this nation. As a part of the ceremony to honor America’s missing, a POW/MIA table was set. According to tradition, the POW/MIA table is smaller than the others, symbolizing the frailty of one prisoner alone against his or her oppressors. This table is separate from the others and can be set for one to four place settings to represent each service participating in the event. The white tablecloth draped over the table represents the purity of their response to our country’s call to arms. The empty chair depicts an unknown face, representing no specific Soldier, Sailor, Airman, or Marine, but all who are not here with us.The table itself is round to show that our concern for them is never ending. The Bible represents faith in a higher power and the pledge to our country, founded as one nation under God. The black napkin stands for the emptiness these warriors have left in the hearts of their families and friends. A Purple Heart medal can be pinned to the napkin. The single red rose reminds us of their families and loved ones. The red ribbon represents the love of our country, which inspired them to answer the nation’s call. The yellow candle and its yellow ribbon symbolize the everlasting hope for a joyous reunion with those yet accounted for. The slices of lemon on the bread plate remind us of their bitter fate. The salt upon the bread plate represent the tears of their families. The wine glass, turned upside down, reminds us that our distinguished comrades cannot be with us to drink a toast or join in the festivities of the evening. The significance of the POW/MIA table is called to attention during the toast of the evening. This is an important part of many military banquets to remind us that the strength of those who fight for our country often times rests in the traditions that are upheld today. These men, these women are not forgotten. The CCCCO is conducting a series of 7 workshops on Creating Lasting Guided Pathways. Bakersfield College is being highlighted at each of the 7 events around the state as one of the first colleges that has data in California showing benefits to students. He shared how BC’s high tech, high touch level of support is truly making a difference for our students. Grace Commiso and Maria Wright will be presenting at plenary panels and reporting on BC’s completion coaching teams and student voices. Janet Fulks is presenting Bakersfield’s Outcomes over the next two weeks and presenting Guided Pathways 101 breakouts. These early outcomes and distinctive work at Bakersfield will help other colleges plan strategies to successfully help their students complete programs of study. So proud of the incredible work being done by the BC staff, faculty, and completion coaching teams. Kern Economic Development Foundation Executive Director Cheryl Scott wrote an op-ed in the Bakersfield Californian on February 12th urging business leaders in the community to build partnerships with teachers and students at all levels of school. “Kern County’s future workforce is entrusted largely to our local educators,” Scott writes, outlining how important it is for business leaders to reach out to the schools and let educators know the exact skills they’re looking for. Many Kern County businesses have to look outside of the Valley for job applicants with the advanced skills that they need, and developing these partnerships at the primary, secondary, and post-secondary educational levels will create more home-grown applicants for those positions, which leads to upward mobility for individuals and their families in the process. “Bringing business into the classroom can give students a leg up in their future careers and sets them up for success by equipping them with the skills and information employers need, “ Scott writes, highlighting the work done by the CSUB School of Business and Public Administration Student Professional Development Initiative, as well as Independence High School’s Energy and Utilities Academy as examples of programs that are creating effective mentorship opportunities for students looking to join the skilled labor force after graduation. As one of the nation’s largest networks of higher education, California community colleges were well represented in Washington, DC at the 2018 National Legislative Summit hosted by the Association of Community College Trustees (ACCT) last week. KCCD Chancellor Tom Burke represented the Kern Community College District at the annual summit, which raises awareness of the issues impacting community colleges across the country while allowing opportunities for community college leaders to meet with congressional representatives to advocate for policies that would benefit them, according to the FAQ page on the National Legislative Summit’s website. Burke, who can be seen in the tweet towards the back on the right, met with Congressman Kevin McCarthy at his office in Capitol Hill during the summit. Jake Tapper, CNN’s Chief Washington Correspondent and the host of The Lead with Jake Tapper, was the keynote speaker for the opening event on February 12th. US Department of Labor Secretary R. Alexander Acosta also spoke about the importance of workforce education to close the skills gap in the nation’s labor market, and Carroll Doherty of the Pew Research Center gave statistics that provided context for the political divide in higher education and reasons behind misperceptions many members of the public have about the value of community colleges. Thank you to our Chancellor, Tom Burke for representing our district at this year’s National Legislative Summit. You can find a list of legislative priorities from the summit on the ACCT’s website, which include reauthorization of the Higher Education Act and Perkins Career and Technical Education Act, investment in education and workforce development, and a path to citizenship for DREAMers. During the summit, California Community College Chancellor Eloy Oakley was also quoted in an article from the Washington Post regarding the president’s comments about vocational schools. Congratulations to Adjunct Architecture Professor Christopher Ennis, recipient of the American Institute of Architects California Council’s Emerging Educator of the Year. The official article states, “The Educator Award recipient is also a member of the Golden Empire Chapter. Chris Ennis, AIA, is faculty at a community college and experiences difficulties and roadblocks different than his peers in the four-year university system. The jury applauded his efforts to ignite passion and interest in students who may not otherwise be exposed to possibilities in the field of architecture before they transfer.” Check it out here. Say these two articles in the Bakersfield Life Magazine this morning. Dr. Jeet Singh is on the Bakersfield College Foundation Board of Directors and is doing incredible work in service to this community. Get your tickets now for an incredible night of collaborative music between some of Bakersfield’s finest musicians. Local celebrities Monty Byrom and Lydia Ranger are coming together with the BC Chamber Singers to perform in a benefit concert at the Music Hall of Fame. Email me! 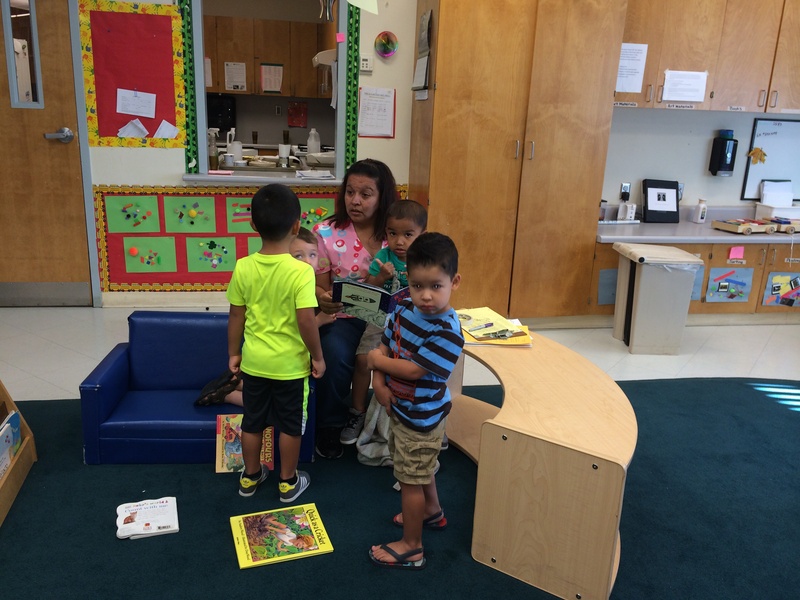 Thank you President Christian for including the Child Development Center in your blog. I cannot talk for my colleagues but I know I’m glad to see this and I’ve been working there 18 years. Thank you again. Thank you Mireya for taking time to write a comment. The Child Development Center is a true BC gem.